TORONTO, ON – October 31, 2018 – Food Allergy Canada is calling on Air Canada to immediately clarify its policies towards Canadians with food allergies and refrain from removing passengers who have disclosed an allergy from their flights. Several recently published news stories describe an unacceptable incident in which a Canadian woman, Ms. Zella Leroux-Gillespie, declared that she was removed from her Air Canada flight after disclosing her food allergy to airline staff. Upon learning that Ms. Leroux-Gillespie did not have an epinephrine auto-injector with her, the airline informed her she could not remain on the flight. Based on the news reports, Air Canada has not refuted Ms. Leroux-Gillespie‘s account. Food allergies are a potentially life-threatening medical condition affecting more than 2.6 million Canadians. Food Allergy Canada encourages all individuals at risk of an allergic reaction to always carry an epinephrine auto-injector. However, it is important to recognize there may be circumstances where this is not possible, as in the situation described by Ms. Leroux-Gillespie. Affordability, accessibility, undiagnosed patients, and even the current EpiPen shortage may also impact a person’s awareness or capacity to carry an auto-injector. Risk avoidance strategies become additionally important in these circumstances and should be considered when looking for reasonable solutions in any situation. The denial of service to any person based on their medical condition is unacceptable. To do so is also counter to the Canadian Transportation Agency’s (CTA) own recognition that food allergy can be designated as a disability that requires accommodation. Food Allergy Canada encourages the CTA to address this incident. We further call on Air Canada to clarify its allergen policy to ensure no passenger is denied service due to their medical condition. Failure to enforce the principle of equity in access to transportation could set a dangerous precedent for how other transportation companies or private organizations more broadly treat people with food allergies. 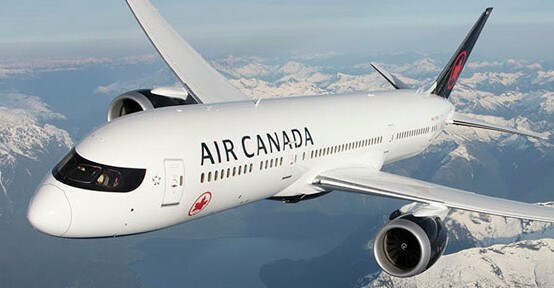 We would be pleased to meet with Air Canada to discuss the community’s perspective and how we could support the company through greater awareness and training. We are also pleased to be a resource to the CTA on issues pertaining to food allergy. Our organization believes the safe management of food allergies is a shared responsibility between those affected or their caregivers and the broader community. We are committed to continuing to work with community members and all interested parties to help Canadians live well with food allergies.